This is a continuation from page 1. If you haven't seen the first page, you will be able to click on page 1 at the bottom of this page. Make your visit or stay in Pretoria the remarkable one by visiting all its interesting places. From mountains to plants, Tshwane is just the most underrated tourist city. You may see the two statues the Voortrekker leaders, Marthinus Pretorius and his father Andries in front of the City Hall. Marthinus Pretorius established Pretoria in 1855 and to celebrate that status, the city hall was built in 1931. Displaying the hobbies of prisoners and illegal items manufactured by them, the Correctional Service Museum, is the best place to see. The graves of troops and fighters of the 11 and 12 June 1900 Battle of Diamond Hill or Donkerhoek were reburied in the Diamond Hill Battle Field in 1960 and 1963. From between 14000 English troops and 4000 Boer fighters three Boer fighters and 19 English troops died in that battle. Fort Klapperkop Built by the Zuid-Afrikaanse Republiek under President Paul Kruger and declared a National Monument in 1938. Fort Klapperkop offers beautiful views of Pretoria. 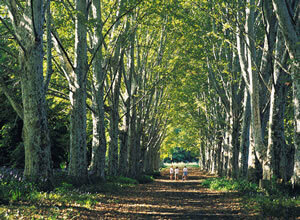 More than 250 historic buildings in one place just 10km west of Church Square, towards Hartbeespoort Dam. Previously known as Fort West Institute and founded in 1880, Fort West Village was set up to house lepers. It has the largest Gauteng fort, built by the French firm Schneider of Le Creusot (of Long Tom cannon fame) for the Anglo Boer War. Set up as a tribute to the truth and reconciliation process, the Freedom Park is built to commemorate the country's political history and to celebrate its cultural and natural heritage. Visit to see the ordinary South Africans who contributed in the development of the new South Africa through museums and a Garden of Remembrance with statues and sculptures. Geoscience Museum is the museum within the Transvaal Museum building which displays a fascinating collection of precious and semi-precious stones. Most historians regard this as their best of Pretoria tourist attractions. The history of President and Mrs Kruger during their years of residence in the Kruger House (1884-1901) and the tributes presented to them and the Boers during the Anglo Boer War are well displayed here. This could be Pretoria's most popular and beautiful park. For art and crafts markets and reasonable prices, visit them. Bring a picnic basket with. The oldest Hindu Temple in Pretoria, Mariammen Temple is the oldest Hindu Temple in Pretoria established in 1905. Mariammen is the goddess who controls smallpox and other infectious diseases. Visitors are requested to remove their shoes when entering the cellar or Assembly Hall. National Zoological Gardens is the finest zoo in South Africa and one of the best in the world. The Pretoria Zoo is an 80-hectare oasis nestled in the heart of Pretoria's city centre. It houses 97 mammal species, 161 bird species, 279 fish species, 106 reptile species and seven amphibian species. At least 4 300 animals call the Pretoria Zoo home. This is among the most important Pretoria tourist attractions. It is amongst one of the most visited Pretoria tourist attractions. A collection of audiovisual material on South Africa. The splendid Victorian mansion, which dates from 1884, was once the residence of the magnate Sammy Marks He made a significance contribution to the industrial, mining and agricultural development of the Zuid-Afrikaansche Republiek. Tel: 012 802 1150 Restaurant: 012 802 1485 Address: Route 104,Old Bronkhorstspruit Road (Off N4 highway, take Hans Strijdom off-ramp and follow the signs). Love history of agriculture? View an impressive collection of horse-drawn vehicles, farming equipment and examples of implements used on a farm. There are a number of Pretoria tourist attractions that are not tapped into. Book yours and visit, you will never regret doing so. Source: Tswane municipality.